Oh my goodness. I guess what makes people in the “entertainment industry” like Kanye West so successful is because they’re just so darned entertaining. And by entertaining, I mean the fun I have poking my eyes out with sharp implements when I hear the things they say. Kanye West – no relation to my boss (thank goodness) – in case you’ve somehow missed it, is the famously outspoken “artiste” who just married the highly talented and dorsally-esteemed Kim Kardashian with whom he has a daughter creatively named “North.” West has been blessed with enough talent or hubris or whatever to pursue his God-given right to life, liberty and happiness. 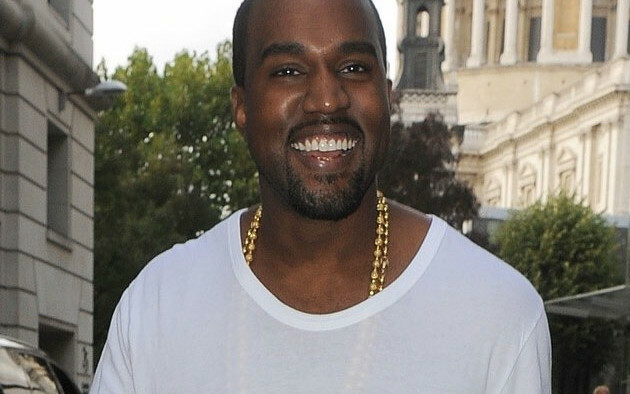 For all of you keeping score, Kanye West has a net worth of about $120 million. That’s quite a bit more than “walking around money” – at least in my book. It’s also quite a bit more than I, a white Jewish female from San Jose, will ever get my mitts on. And yet, Kanye West believes he is still a victim. He is being discriminated against. Because now he’s a CELEBRITY. In Zach Baron’s interview with West regarding the wedding, Baron writes that he heard West gave a forty-five-minute toast to himself. I. Really. Don’t. Know. What. To. Say. Celebrities are being treated like blacks were in the 60’s? I could be wrong in this, but if you’re sitting in the back of the bus right now Mr. West, it’s because you OWN the damn bus.